Marine biologists Dr. Jim Darling and Dr. Meagan Jones studying whale sounds off the coast of Maui. Director Greg MacGillivray films humpbacks with an IMAX® camera in Maui with Robert Walker (left) and Dr. Jim Darling. A group of humpback whales bubble-net feeding. This is the one of the most complex social behaviors of any marine mammal. 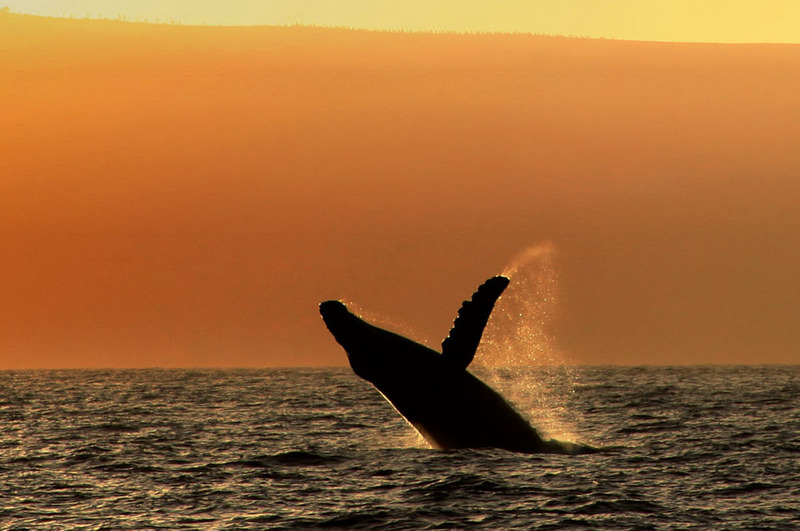 Marine biologist Dr. Jim Darling observes a humpback whale from a research vessel off the coast of Maui. Whale rescuer Ed Lyman and his team of rescuers use a small boat to reach entangled whales in Hawaii. A humpback whale mother with her calf off the coast of Tonga. Copyright 2014 MacGillivray Freeman Films and Pacific Life. Photographer: Howard Hall.